The differential diagnosis for lower back pain can be as simple as muscle spasm to complicated or severe and complicated cauda equina syndrome that required immediate surgical decompression. It is important for primary contact health care providers to recognise and rule out serious conditions of the lower back so that a detailed treatment program for the management of the lower back pain can be prescribed. Imaging of the lumbar spine may be needed in order to rule out serious underlying condition the lower back. Patients who aged above 60, have a history of osteoporosis and/or are taking steroids over a prolonged period of time are more susceptible to compression fracture of the spine even with a minor trauma. Therefore, plain-film radiography or CT scan maybe required for these patients who are suffering from severe back pain after a minor trauma. Cauda equina syndrome is a serious spinal condition that may lead permanent nerve damage if it is not treated immediately. 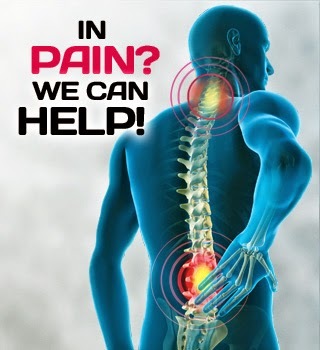 Typical signs and symptoms of cauda equina syndrome include low back pain, sciatica, loss of sensorimotor in the lower limbs, bowel and bladder dysfunction, urinary retention, saddle paresthesia of the perineum, pain, numbness and weakness in both lower limbs. Direct mechanical compression, venous congestion and ischemia are the possible causes of nerve root damage in the lumbar spine. Lumbar disc herniation, trauma and vertebral metastasis are the common causes that lead to secondary spinal canal stenosis and compression of the cauda equina. MRI of the lumbar spine can identify the source and location of the compression of the cauda equina.